Our non-load bearing rooftop is perfect for small outdoor festivals. You’ll see this rooftop used for church events, music festivals, and fundraisers with crowds of up to 5000 people. This roof system can hold lighting and smaller banners, but is not rated for more extensive lighting or flown audio. This roof is tolerant of wind speeds up to 35 MPH, and can withstand light to moderate rain. Our available roof system sizes and prices are below; These prices do include setup and take-down. * Includes setup and take-down. Ask us about package pricing and multiple day rentals. We’re happy to work with you to make this your best event. For more information about our staging, Contact us for a free quote. We look forward in working with you! 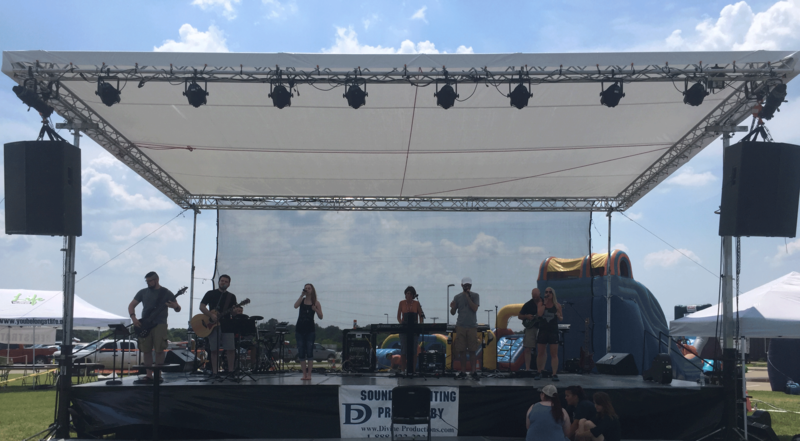 Divine Productions provides portable outdoor Easy Pop Tent Rentals throughout north Texas area at affordable rates. We provide Easy Pop Tent Rentals for Corporate Events, Outdoor Festivals, and Concerts. 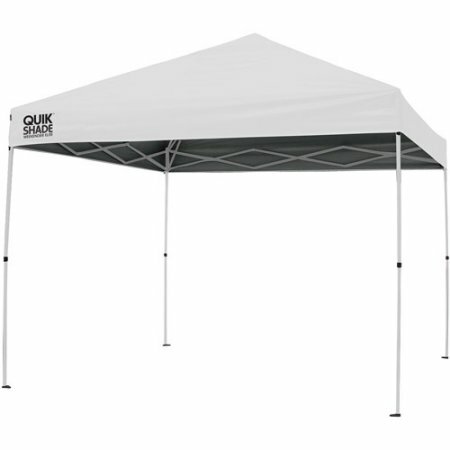 For more information about our tent rentals, Contact us for a free quote. We look forward in working with you! Traditionally called a “pop-up tent”, these 10’x10′ tents consist of a canvas cover stretched over a lightweight, aluminum frame. Ideal for shade from the sun. Perfect for flea markets, corporate events, outdoor festivals, concerts, etc. For more information about our sound systems, Contact us for a free quote. We look forward in working with you!